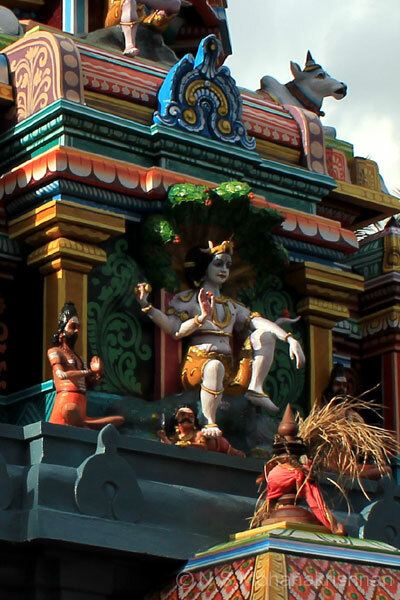 The Oil Abishekam performed to the main deity is fully absorbed by the idol. 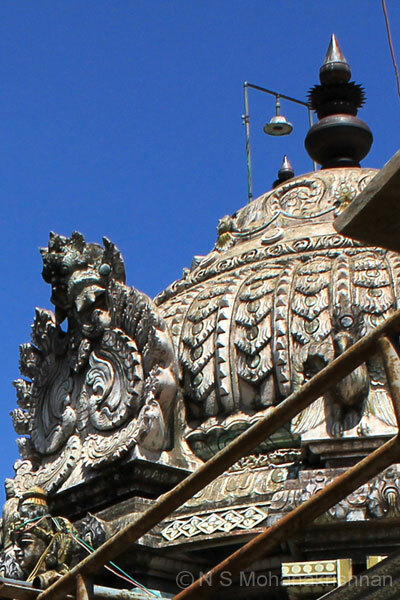 Another important feature of the temple is that the Vilva leaf seen here is 5 in a stalk, which is rare. This is a Vrichika Nakshatra (star) Sthalam. 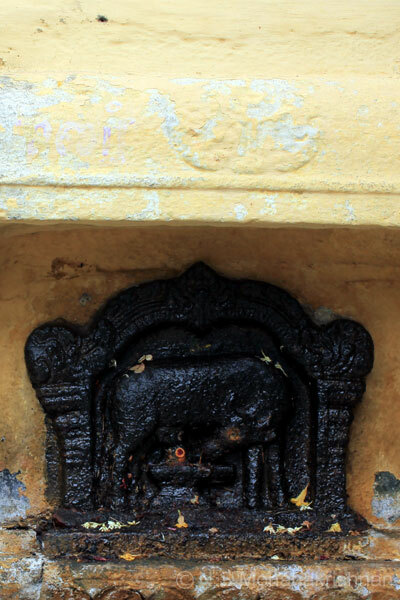 The Lingam portion is white in color and made of a mud sort of material. Hence abishekam is performed with Kavacham (Armour). 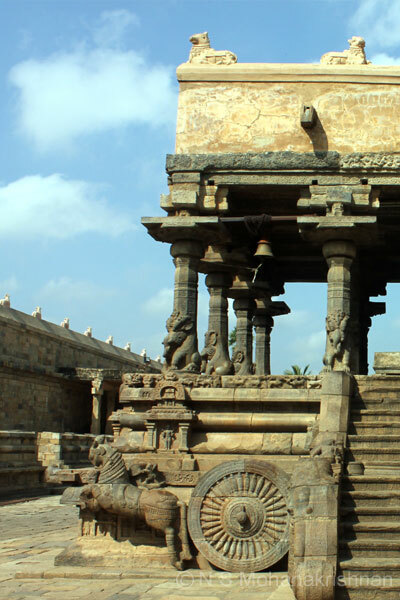 The ‘Big Temple’ is one of the UNESCO World Heritage Sites and considered as “Great Living Chola Temples”, the other two being Gangaikonda Cholapuram and Darasuram. 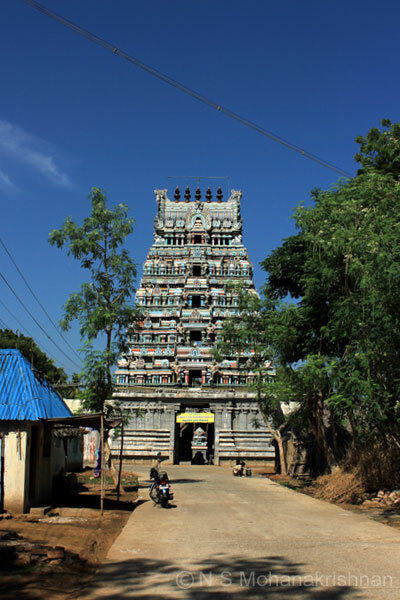 This temple in Thingalur is one of the Navagraha Temples representing Chandran (Moon). 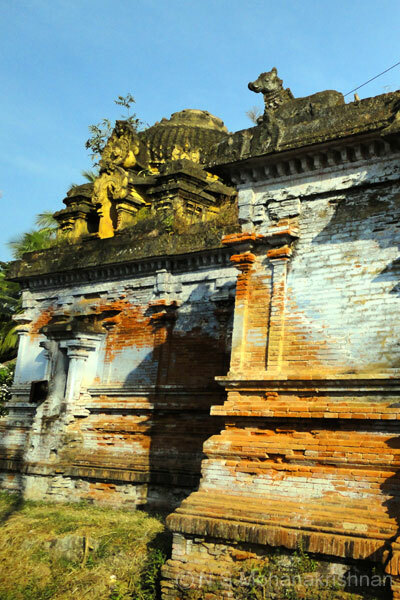 This is a dilapidated old temple and was in bad shape when we visited around 2011. 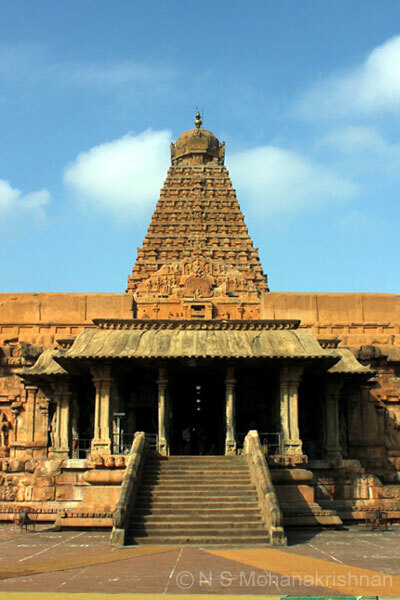 This is one of the UNESCO World Heritage Sites and considered as “Great Living Chola Temples”. 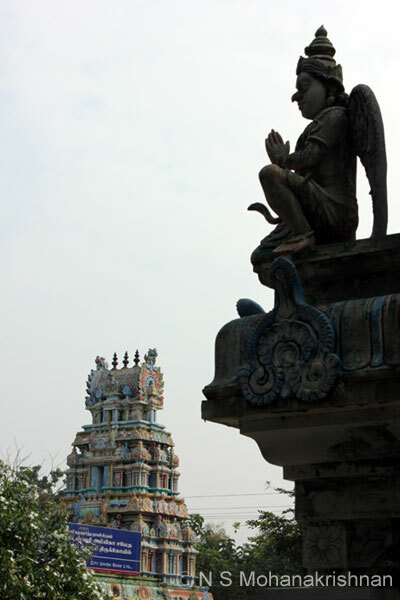 Kaduveli Sidhdhar, who wrote the famous ‘Nandavanathil Or Aandi’ performed penance and lived here. 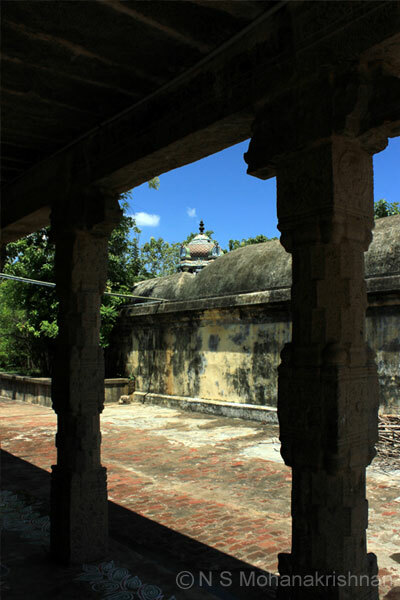 It is believed that Raja Raja Chola had gifted this village to Ulagamuzhuthudayal, one of his wives. 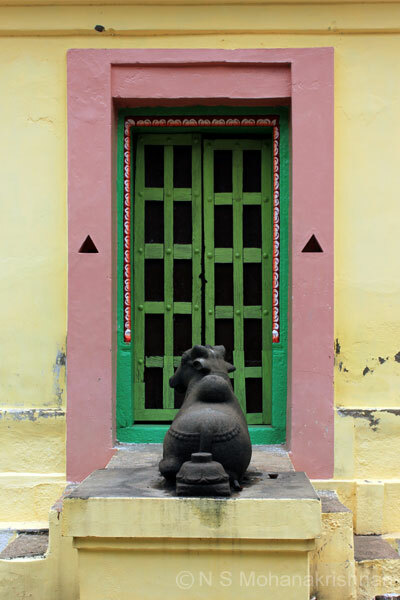 This area is part of the ancient second capital, Pazhaiyarai, of the Chola Dynasty and is steeped in history. 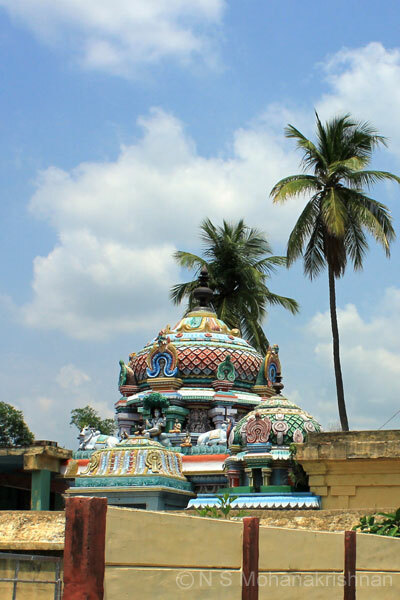 This is a small and beautiful temple full of flowering plants, amidst coconut and plantain groves. 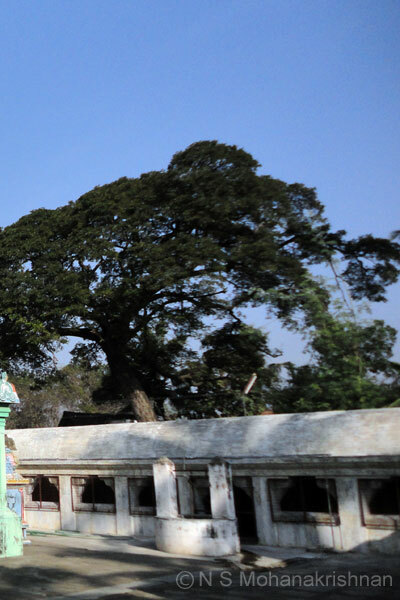 The 108 lingams installed here by Lord Rama and Sita are believed to be equal to visiting 108 Shiva temples. 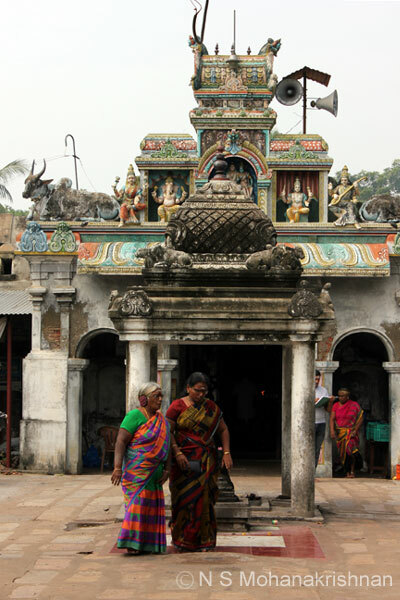 One of Rajaraja Chola’s wife was Thirailokki Mahadevi and the village is named after her. 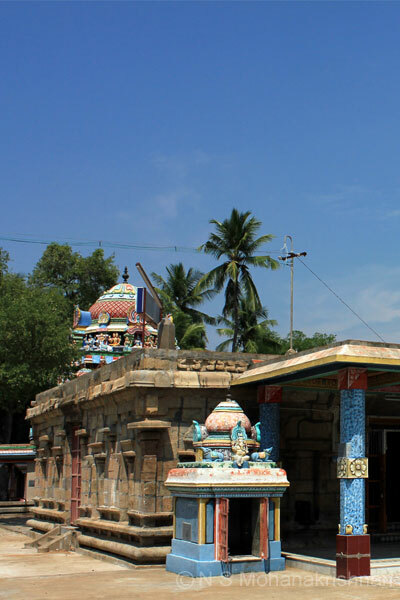 Suryanar Temple is one of the famous 9 Navagraha Sthalams in this circuit dedicated to Surya (Sun). 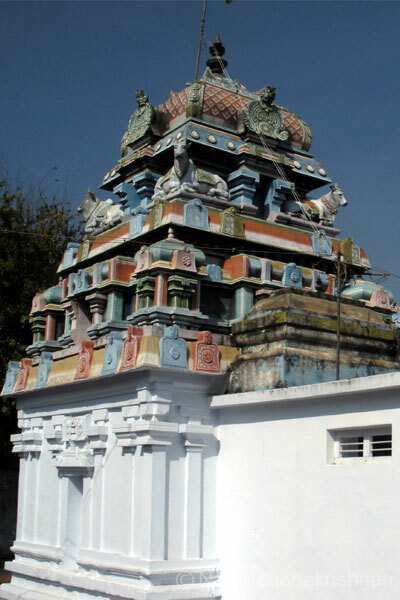 Sundarar (8th century CE) has mentioned this temple in one of his Hymns and thus this is a ‘Vaippu Sthalam’. 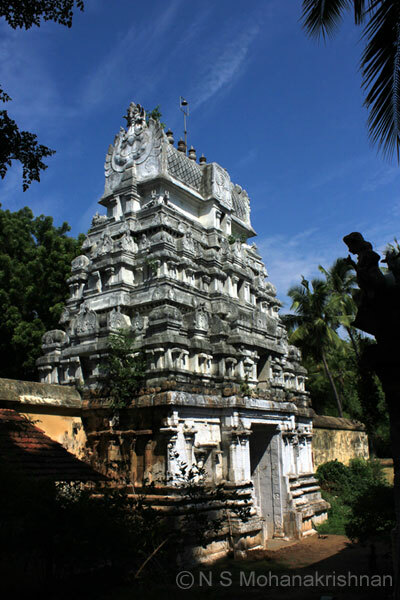 As per inscriptions found in the south wall of the temple, the shrine was constructed by King Kulothunga Chola III (1176 CE). 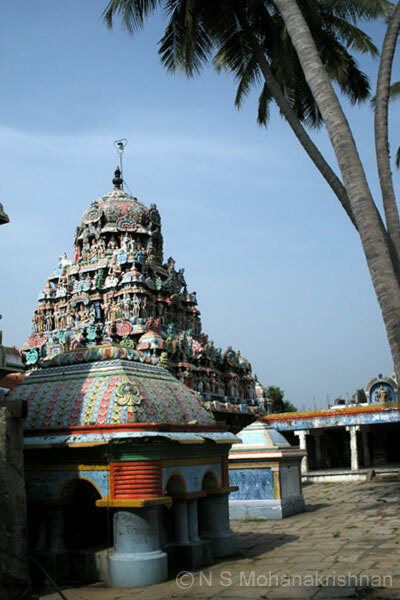 Sundarar (8th Century CE) has mentioned this temple in one of his Hymns and hence this is a ‘Vaippu Sthalam’. 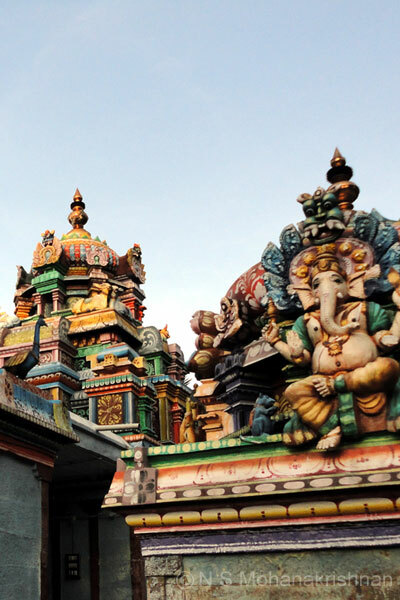 A Gandharva woman named Vijaya is believed to have worshiped Shiva and obtained his holy darshan here. 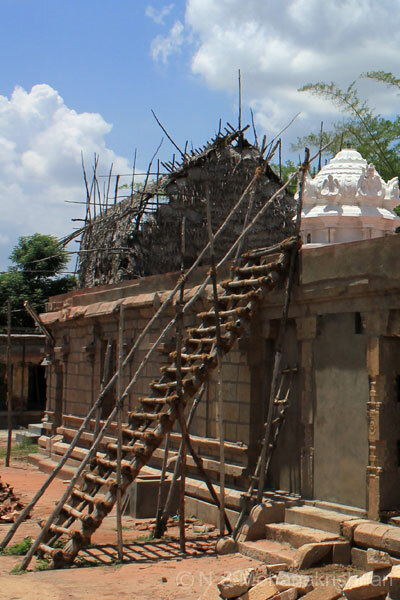 Vikrama Chola (12th Century CE) is said to have built this temple for a sentimental reason arising from an accidental death. 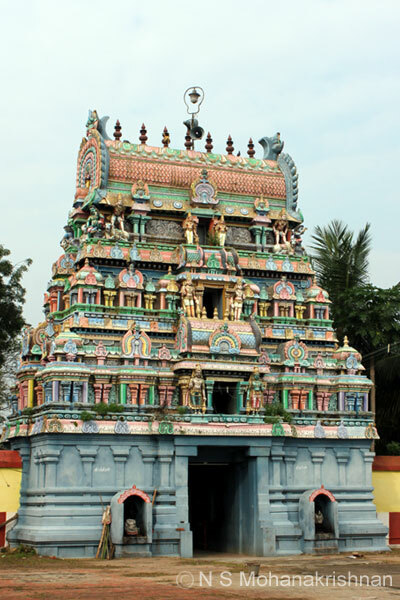 Thirugnanasambandar has visited this temple and hence this is considered an Abimana Sthalam. This is a small east facing temple which is considered important for conception. 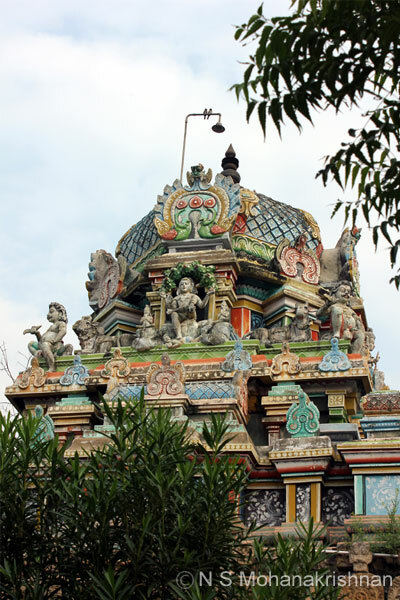 Right next is a Perumal temple too. 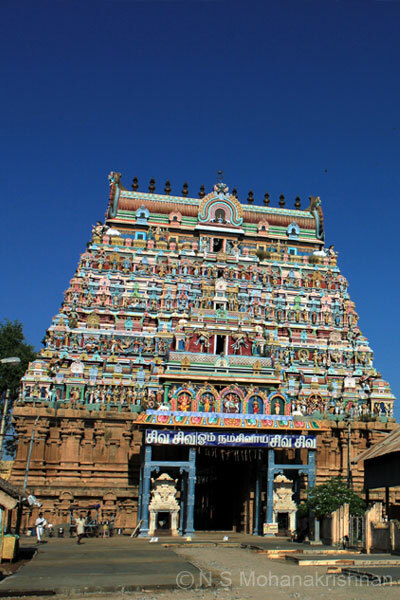 Lord Saneeswara is seen with his 2 consorts and 2 children here and is thus considered a very important temple. 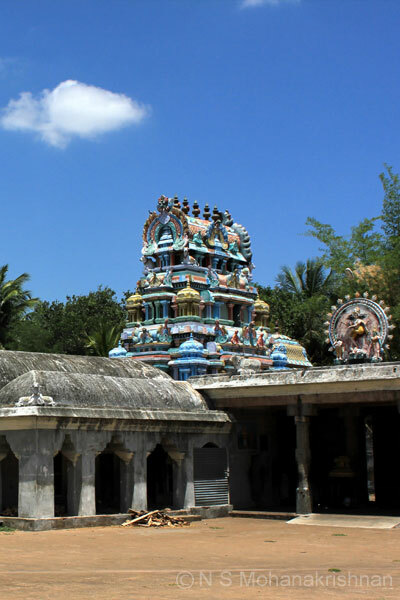 A beautiful and large temple situated in a serene environment close to the main road. This is a small east facing temple in a beautiful and quiet surrounding.